AMD’s first Polaris rebranded graphics card appeared and it looks like that the GPU it will be replacing has the same specifications. The card being discussed is the Radeon RX 560X that features Polaris 21 GPU that will have minimal performance and speed boosts. HP’s new $799 Pavilion gaming laptops include Radeon RX 560M GPU. Recently, AMD announced the Radeon RX 500X series Graphics cards. That is essentially giving their existing Radeon RX 500 series GPUs a new name. AMD’s new Radeon RX 500X GPUs will be launching soon as a refresh to AMD’s Graphics cards. This new series will be the third to have Polaris architecture which was used in AMD’s Radeon RX 400 series and Radeon RX 500 series. The GPU which was leaked is the Radeon RX 560X which will be the replacement for the Radeon RX 560. The GPU was also seen in an ACER laptop which has a Ryzen 5 2500U APU. Both AMD and NVIDIA sometimes rebrand their existing GPUs when there’s a lack of new GPU generation. They do it just to make laptop and desktop makers keep the latest hardware to sell inside their PCs. A new generation of Ryzen desktop processors by AMD is expected to release in this month and Intel’s 8th-gen laptop and desktop processors have just hit the markets. The rebranded GPUs help the PC makers so that they can put new GPUs with the actually new CPUs. Don’t expect to see any AMD Radeon RX 500X series GPUs on store shelves. AMD’s spokesperson said, this is just a branding play for PC retailers and an opportunity for the manufacturers so that they can market the truly killer new features by AMD for their Radeon Software Adrenaline Edition. 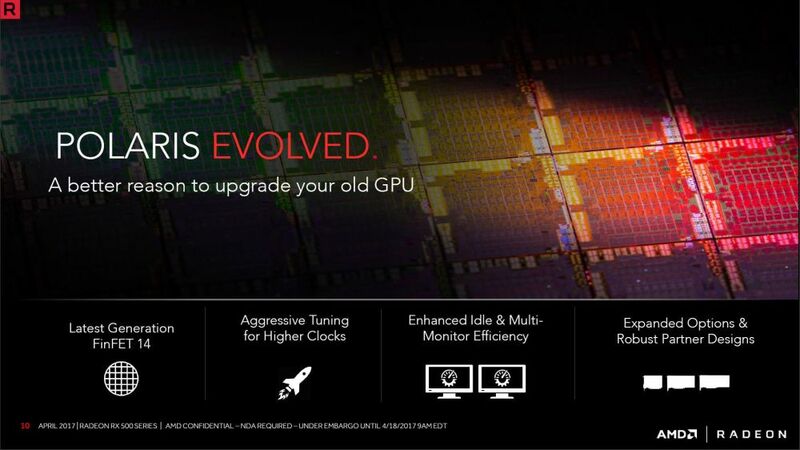 If you already have an AMD’s Radeon GPU inside your PC then make sure to visit AMD’s website to download it. The Radeon RX 560X is slightly faster than its predecessor the Radeon RX 560M that features 4GB GDDR5 memory, 1024 cores, 1202 MHz clock speed and a 128-bit bus interface. The AMD Radeon RX 560X has the same exact specifications except for the clock speed which is boosted by 73 MHz to a total of 1275 MHz clock speed. According to some rumors, we might get to see some significant core or VRAM changes in the Radeon RX 500X series.